Do you need a Mechanic that can come to you who is AFFORDABLE * PROFESSIONAL * RELIABLE and CERTIFIED? 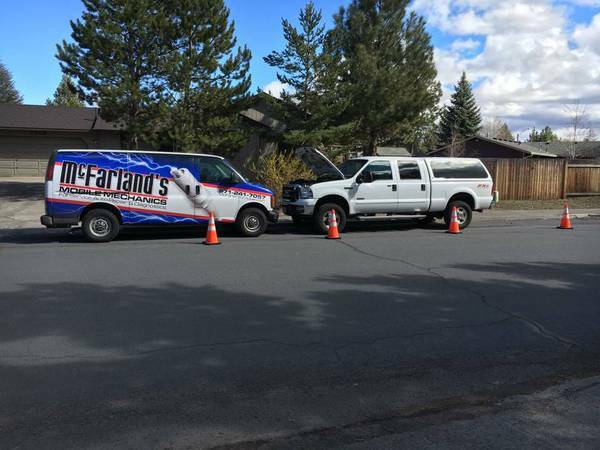 Let McFARLAND'S MOBILE MECHANICS take care of all your vehicle's needs! As Mobile Mechanics we give you the convenience of honest, professional car care wherever it is needed! Allow one of our 6 technicians to service your automotive needs! 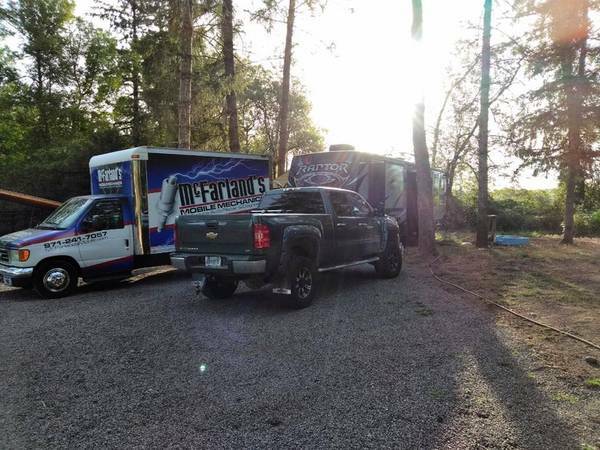 If the repairs need additional time or a shop to accommodate the work needed, we offer FREE TOW service to our shop on ANY repair we can't perform on the spot! WE SERVICE ALL AREAS FROM VANCOUVER TO SALEM!! WE WORK ON ALL FOREIGN AND DOMESTIC VEHICLES!! * Diagnose poor performance and/or No Start conditions. * Check Engine Light Diagnostics on most vehicles. * Trace charging and other electrical issues. * Recommend how to solve your problem, even if we are not providing the service. * Replace engines, transmissions, suspension parts, alternators, batteries, belts, hoses, water pumps, radiators, brake pads/shoes, calipers, etc. * Tune-up (air filter, fuel filter, pcv, spark plugs, wires, adjust timing, oil and filter change). * Regular scheduled maintenance. Timing belts, 30k 60k 90k 100k etc. We welcome and will consider matching or beating verifiable written estimates that you may have from other service providers. Let McFarland's Mobile Mechanics be your choice for quality service - A lifeline for your vehicle!